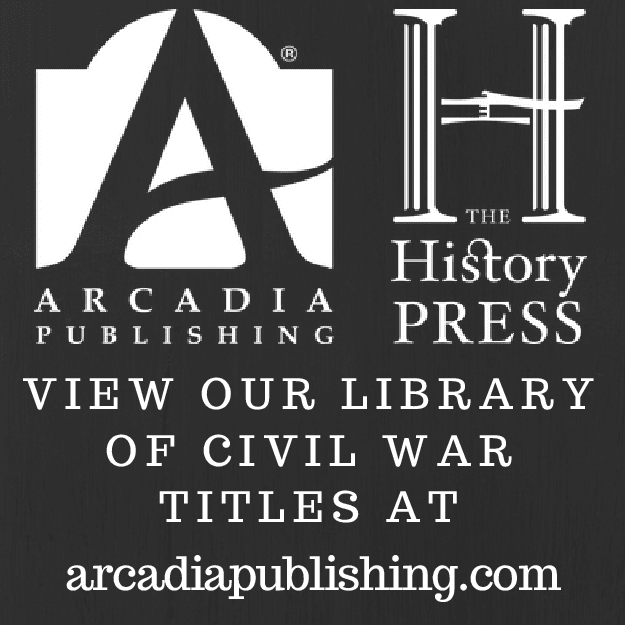 Osprey Elite Series: "AMERICAN CIVIL WAR RAILROAD TACTICS" and "AMERICAN CIVIL WAR GUERRILLA TACTICS"
Given the wide distribution network of Osprey Publishing, one would guess that nearly every military history reader has some familiarity with their vast array of book series. The Elite Series "explores the history of military forces, artifacts, personalities, and techniques of warfare". Heavily illustrated with photographs, drawings, maps, and full color artwork, and at 64 pages in length, books from the series are summary in nature, but not necessarily aimed only at introductory level readerships. 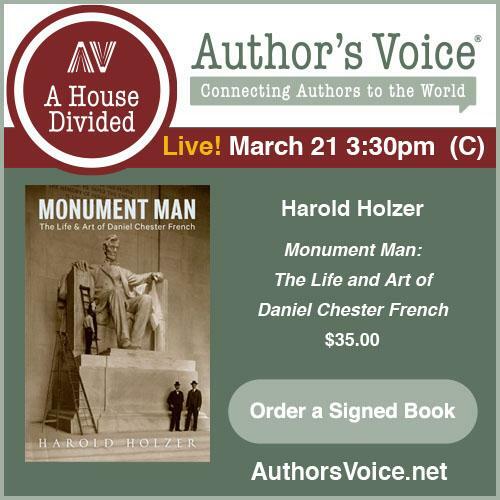 The full gamut of uses Union and Confederate armies had for railroads and railroad equipment is examined in the first of two books to be discussed here. 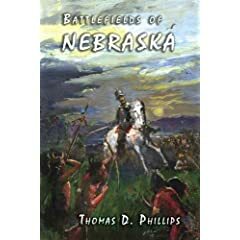 Author Robert Hodges begins with an introduction into the relative success of each side's attempt to balance the military and non-military use of the railroads. Not surprisingly, he finds the Union system, with its early creation of a U.S. Military Railroad network, superior. Numerous examples of the operational use of railroads are highlighted, including their familiar impact on the 1st Manassas, Chickamauga, and Chattanooga campaigns. Perhaps the most detailed, and best, section of the book is the one illustrating the construction, design, and use of railroad artillery and armored cars, subjects not often covered in depth elsewhere in the literature. The various means of destroying and repairing rails are also explored, with some emphasis on specialized rail cars designed for transporting prefabricated bridge trusses. The battlefield uses of trains comprise another important aspect of the book's umbrella coverage. Trains carried cavalry and infantry on the tactical offensive, especially for counterguerrilla operations, as well as for protection during repair duties. The machines were also assigned to reconnaissance duties and for transporting and tethering observation balloons. Command cars were purpose-built for the comfort of commanders and a number of pages are also devoted to hospital trains. In the limited space available, American Civil War Railroad Tactics covers the basics quite well. 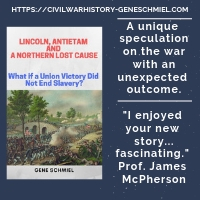 While the more widely read student with find the material to be easily recognizable, author Sean McLachlan's narrative takes pains to draw his summaries and examples from all three major Civil War theaters. In his discussion of irregular warfare, he adopts historian Robert Mackey's three categories: guerrillas, partisans, and raiders (in my opinion, a wise choice) and capsulizes the character of the conflicts in a broad swath of states, to include Maryland, Virginia, Tennessee, Missouri, Arkansas, and Louisiana. The importance of the 1862 Partisan Ranger Act is properly put into context. The tactical discussions are featured in sidebars accompanied by watercolor paintings and maps from artists Gerry and Sam Embleton. Examples include the August 1863 Burning of Lawrence, "Bloody Bill" Anderson ambush tactics outside Centralia (MO) on September 27, 1864, John Singleton Mosby's evasion tactics, John Hunt Morgan's tapping into telegraph lines to spread misinformation, Nathan Bedford Forrest's tactics at the Battle of Brice's Crossroads, and finally railroad wrecking techniques. Some defensive tactics are also highlighted, most specifically the use of fortified courthouses in defending small towns. Given its questionable relevance as an examplar of irregular tactics on the battlefield, the selection of Brice's Crossroads in the book is curious, but the rest comprise a good cross section of irregular actions. 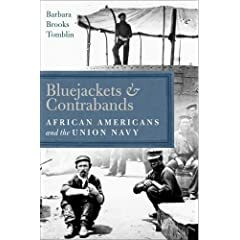 While there is clearly a Confederate imbalance in these more detailed examples that could further the common notion in the novice reader that irregular warfare was primarily a Confederate strategy, overall, American Civil War Guerrilla Tactics does provide a comprehensive introductory summary to the conduct of irregular warfare worthy of a prospective buyer's consideration, with some anecdotes and examples from both sides. 1. Defending South Carolina's Coast: The Civil War from Georgetown to Little River by Rick Simmons (The History Press, 2009). 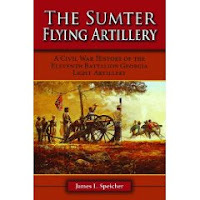 The comparatively little that is written about the Civil War along South Carolina's coast overwhelmingly focuses on the Charleston environs and the area to the south between that city and Savannah. What makes this book so interesting is that it shifts the attention in the opposite direction, up the coast. I admit I had to look up Georgetown and Little River on Google maps. If Georgetown's historical location is roughly the same as the current one, then the town was and is situated approximately halfway between Charleston and the South Carolina/North Carolina border (with the current Little River Inlet located just south of the state line) -- think Myrtle Beach and you're right in the middle of it. Can't wait to read it. 2. The Tygarts Valley Line June - July 1861 by Eva Margaret Carnes (McClain Publishing, 2003 3rd ed.). This one was the subject of an earlier snapshot review, but I haven't held a copy of the newest edition until now. It's a softcover facsimile reprint of the staple bound 1961 original, with no new material. Focusing on June 3 battle at Philippi and the Belington skirmishes fought during the second week in July, this remains a very worthwhile study of the early stages of the 1861 western Virginia campaign. 3. 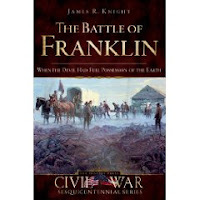 The Battle of Franklin: When the Devil had Full Possession of the Earth by James R. Knight (The History Press, 2009). This short battle history is also part of THP's Civil War Sesquicentennial series. I haven't cracked it open yet, so it's too early to tell if the Hoodites will flip out over it.